Since Advance Steel 2009 the drawing styles for the environment structural elements have been changed. This FAQ describes the required steps to represent the environment structural elements on a workshop drawing. 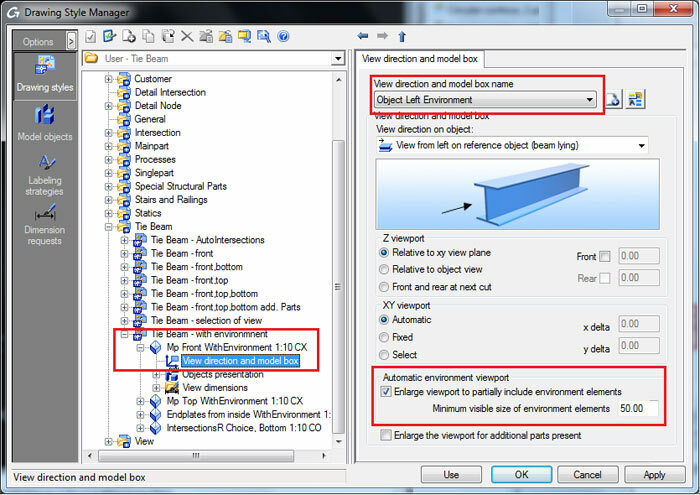 To present environment structural elements on a workshop drawing differently than as main parts and attached parts, you must add other model objects ("environment beam", "environment plate", "environment special part") besides the existing ones ("additional beam", "additional plate" etc.). Create the new model objects in the Drawing Style Manager. 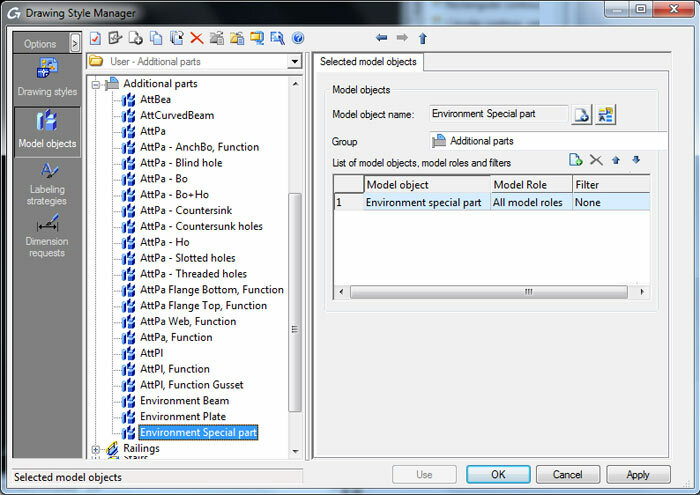 In the "View direction and model box" list, the new "environment" element is added. It depends on what you would like to see with this definition (front, top, rear or bottom). Select "Relative to the xy view plane", no setting is necessary for front or rear. Select "Enlarge viewport to partially include environment elements" and set a minimum visible size of environment elements. Do not select this option. If you wish to use the environment structural elements in other view directions, you must specify new definitions for them.